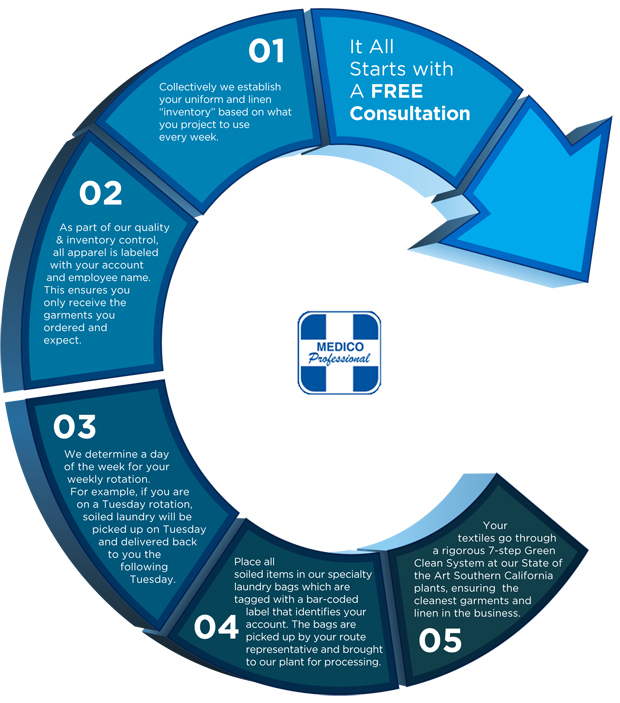 Whether you are a large hospital or a small clinic, our expert sales reps start by identifying the garments, linens, cleaning materials, and disposables best suited for your medical linen needs. Nowadays, medical professionals recognize that renting uniforms and linens is economical, efficient, and protects the environment. 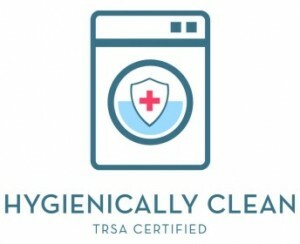 In addition, the revised Recommended Practice for Surgical Attire states that scrubs and PPE should be laundered in a healthcare-approved or accredited laundry facility, not in the home. And with Medico, we want to make sure that uniforms and linens are something you never have to give a second thought.